Sharing a toilet can leave us with either a positive or negative experience. 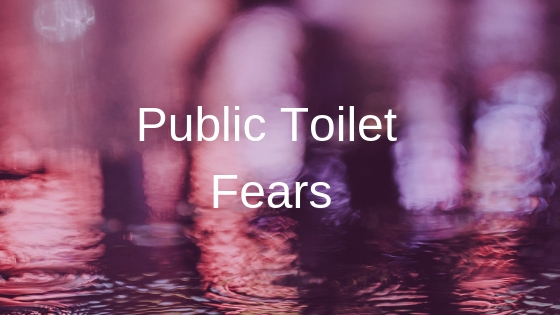 We share these toilet facilities as a result of living in communal flats, or using a public toilet at the shopping mall or at a popular music festival. We have no control over what to expect when we visit these facilities as they are either shared with our unpredictable flatmates or the unknown public. Here are some interesting challenges we are likely to be faced with in using a shared or public portable toilet facility. 1) Waiting while they relax doing a number two and replying to emails at the same time: People have a lot of toilet habits which can either be good or bad. Using a phone whilst in the toilet is a common practice by many with the rise of social media and the Internet. 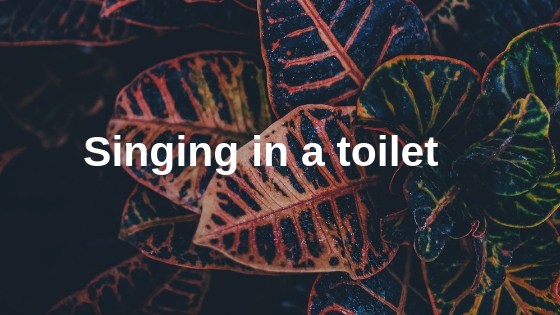 You could wait longer than normal to use a shared or public toilet because the occupier is replying to an email or watching a funny Facebook video which has got them all distracted and entertained. Sadly, you’ll have to queue up a bit longer because of the bad phone habits of the initial user. 2) A Usain Bolt race to the public toilet at key moments: Everyone becomes a Usain Bolt during busy or peak toilet periods. At music festivals, the mornings and end of popular performances could lead to a race for the closest toilet. In addition, at marathon events, a few minutes before the start of the actual race people make a quick dash for the closest portable toilet. Using a public toilet calls for a race to be the first to get to these facilities before the queue or crowd builds. 4) Occupiers failing to lock the toilet whilst in use: The lock of some public toilet facilities could be a bit confusing as it’s hard to tell when it is “engaged” or “vacant.” Interestingly, some people could be so pressed that they dash into the toilet and fail to put the locks on, only to leave you thinking it is free. You’ll end up confidently pushing the doors and expect to see a vacant toilet but shocked to see an individual seated answering the call of nature with a very surprised expression. 5) Damp or soiled toilet handles: Public toilet handles could either be found wet, damp or soiled when the occupants are a bit reckless and unhygienic with their toilet etiquette. This is an interesting challenge and has led many to avoid coming into contact with the toilet handles and opt for opening the facilities by other improvised means. 6) Ran out of toilet roll: You’ve just sat down for a number two. You’re singing your favourite song whilst scrolling through Snapchat only to suddenly realise the toilet has ran out of toilet roll. You become confused and consider alternative means of solving this unexpected challenge. This is something you could encounter in a public toilet with irregular staff supervision. 8) Sweet wraps and chewing gum in urinals: Some people use urinals as their bin to dispose of train tickets, sweet wraps, lolly sticks and chewing gum. This leads to the slow flow of urine and could also cause splashes that leave you more disgusted than relieved. 9) Blocked toilet: You can easily encounter a blocked toilet when the previous user dumps too much toilet roll or inappropriate paper down the loo. It can be really annoying to spend a while queuing up to use the loo only to suddenly discover it is blocked and in an unusable state. 10) Being anxious of others hearing you whilst having a poo: The sound we generate whilst doing a number two varies based on what we’ve eaten, the time of day and how long we’ve held it before using the toilet. If the door of the toilet is not thick enough and the queue is quite close, we run the risk of generating a jazz performance from the sound originating from our defecation. 11) Putting your sense of smell to the test when the air freshener is not used: It is always great to know your sense of smell is intact when you’ve got to prove this by entering a toilet that has not been sprayed with Air Wick, Ambi Pur or Valmont. 12) Listening to the sound created whilst someone is having a poo: When you are pressed, queuing up is not always ideal. It becomes quite challenging when you end up hearing all the groans and the deafening sound generated whilst someone else is using the loo. It is never a good melody or music to the ears, but it is one of the interesting challenges you face with a public toilet. 13) You’ve got no time to take your time: You’ve spent ages in the queue and it’s finally your turn to answer the advanced call of nature. As you sit down to carry out the business at hand, it suddenly dawns on you that there are few inpatient folks queuing up for the loo. This creates a sense of urgency and you hastily have to do a number two without the reassurance that you’ve discharged all that was due. 14) Finding splatters and remnants: We’ve got varying hygienic standards and it could be unfortunate to meet remnants of someone else’s answer to nature in the loo. This leaves you with no choice than to properly flush and clean the toilet before using it. 15) Uncomfortably gazing at a boring wall or ceiling whilst using the urinals: in a perfect world you’d like to watch to ensure you’re properly using the urinal and not splashing the floor with your pee. During busy periods when urinals are in maximal use however, for the sake of politeness, you are forced to stare at the wall to ensure you are paying due respect to individuals to your left and right. 16) When the person next to you accidentally splashes your trainers with their urine: Sometimes individuals use their phones whilst urinating, leading to accidents like peeing on the shoes or trousers of someone else. Being on the receiving end of this is never a pleasant experience for anyone. 17) When you accidentally queue up in a poo line when your intention was to pee: The layout of some public toilets can cause confusion in the queuing system. In the male toilets, queues for the urinal are always quicker than those for the advanced call of nature. If you fail to observe properly, you can easily join a slower queue when your intention was just to have a wee. 18) Someone trying to jump the queue: Individuals can easily lose their manners when queuing to use the toilet. Queue jumping is quite common during busy periods at major events where individuals are so pressed that they are willing to forgo every element of decorum. 19) Failing to flush: Some individuals quickly dash out of a toilet and forget to flush, which could leave you with a less than desirable sight. This is quite common in a public toilet as individuals may have a lot going through their mind while they answer the call of nature and they can easily assume they’ve flushed without realising that’s not the case. 20) You’re greeted with the toilet seat up: When the toilet seat is down in the gents or a mixed toilet, there is a risk of splashes or drips of urine. It is always best to leave the toilet seat up after use to prevent this from being the case. 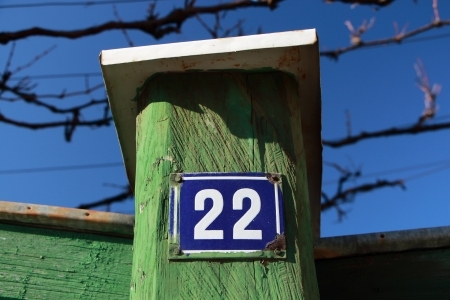 21) A river of urine at the standing space of a urinal: This is quite common in public toilets where people dash in and out to urinate. You may think the wet floor is as a result of a recent mopping by the cleaner. In most cases however, it’s simply the build-up of urine. 22) A wrongly-placed toilet paper: It is widely understood that the proper way to place toilet paper onto a holder is by ensuring the end of the roll is hanging off the exterior. 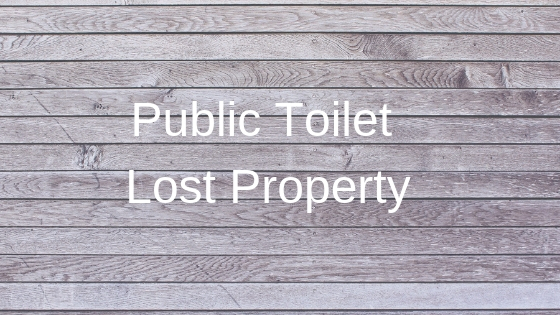 At public toilets it is common to find toilet paper wrongly placed on the respective holders or left in the wrong areas. These are some of the common challenges you’ll be confronted with when you use a shared or public portable toilet.